If you are like me, you cringe every time that you start up your 3D printer to print out any sort of large object. There is always that thought in the back of your head that if for some reason the 3D printer doesn’t do what it is supposed to do, you may end up wasting a ton of money on filament. With the introduction of low priced 3D printers, in the past several months, priced at under $500, just about anyone can now take up the hobby. 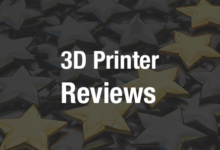 However, if you can afford to purchase a 3D printer, it doesn’t necessarily mean that you can afford to use it. Filament, the material used to print with, is just flat out expensive. Spools of filament cost anywhere from $20/kg up to over $50/kg. One man, named Michael Howland, and his wife Mary Beth have come up with a device that could finally make 3D printing affordable to everyone. They are the founders of the OmNomProject, a project that aims to recycle all sorts of plastic objects into useable 3D printer filament. OmNom got its name when Michael and Mary Beth’s 2-year-old daughter pointed at the machine and said “OmNom”. Ever since the name has stuck. The couple had their prototype on hand at last year’s MakerFaire, but it is far from being the finished product that they plan on offering to the public. Some of the plastic objects that can be fed into the nOm II filament extruder include water bottles, milk jugs, grocery bags, plates, utensils, food packaging and of course objects which have previously been 3D printed. It works with several different types of plastic, including PLA, ABS, HIPS, PET, and HDPE. For those of you familiar with 3D printing, you know that PLA and ABS are the two most common plastics used when printing. The other materials may not be quite as familiar. PET (Polyethylene Terephthalate) is what your traditional water bottles, plastic picnic cups, plastic plates, plastic eating utensils and food packages are made up of. HDPE is the plastic that is used in the creation of plastic grocery bags, and milk containers. As for HIPS (High Impact Polystyrene), Michael Howland believes it is under utilized, but gaining popularity in 3D printing today. According to Howland, it takes only 267 plastic grocery bags in order to create a spool of 3D printer filament. I don’t know about you, but I end up collecting about 10 of these each time I make a trip to the grocery store. This could potential have huge benefits, not only for 3D printer owners, but for the environment as well. Most of these bags end up in landfills, where they take close to 100 years to decompose. Michael and Mary Beth plan on taking their beta unit of the n0m II to the upcoming MakerFaire in New York. After that they will be launching a Kickstarter project. While no price has been set for the n0m II as of yet, since they are still getting quotes for upgraded components, Mary Beth told us that their goal is to offer the full unit for somewhere between $1,500 and $2,000. This will include the grinder, extruder and the winder. However, the unit is modular, so users will have the option of mixing and matching components. “For example, if they have an extruder from another manufacturer, they can add our grinder and winder, etc.,” said Mary Beth. All of the metal components are being manufactured in-house in the company’s San Leandro, CA facility. While the machine’s powered winder is currently controlled manually using an adjustable speed knob, once launched, they plan on investing in automating the system (i.e. temperature/ material presets and an automated winder). We have seen filament extruders before, but we have yet to see one, all-encompassing machine, that can work with so many different types of plastic. What do you think? Would you be willing to pay between $1,500 and $2,000 to be able to make filament out of your waste? Let’s hear your opinions in the OmNomProject forum thread on 3DPB.com. Check out the video below of the original nOm I prototype that was on display at MakerFaire 2013.